Discussion in 'Unit Reviews' started by Jet Stingren, Dec 23, 2016. Great Passives: WK Noel has some good passives to support both of the possible roles you would want to outfit him for either being a tank, or a DPS mage. Which is great cause there's no uneven amount given to the specified passive boosts so he gets the full benefit of using both classes effectively in any type of content. Great Tanking Abilities: Steel & Bring It On are actually advanced when it comes to tanking. Normally, our best tanking moves would consider of the tank itself defending for one your allies which to this day is still great. But, Noel actually has a more advanced tanking way when he uses these moves. When he uses either Steel or Bring It On it increases the stats of the user when damage is applied. Basically, the attacking moves of the opponent get cut down when it's targeted to him. And that's the insane part about Bring It On since it allows him a 80% chance to be targeted on top of this. Also, when he guards the damage taken is also further reduced, on top of naturally applied buffs to Noel. Basically in a short summary he's a wall that can mitigate a great deal of damage even more so than the tanks that defended for allies. As a side note, this also combines with his Attract passive which means he'll pretty much always be targeted by ST attacks. Elemental Debuffs: This is actually great for his mage like role, or even to get off regular damage as a tank. Thanks to his blast type abilities he's able to help deal more damage to enemies after the resistance has been put on them which is good cause it helps his, and other allies who may have a Ice/Wind attack on them, or weapons that deal that type of damage. So, these debuffs are actually great for your squad to use on them. Innate Immunities: Noel has some good, and niche immunities to Stone/Silence which means he has a lesser chance to be stopped when trying to perform his duties as a unit. He can still be slowed down by paralysis or stop. But, it's 2/3 of the most recommended immunities to be protected against so I can let him slide for that. Great LB: His LB seems only really for him with the DEF/MAG boost. But, what really makes his LB good, and useable is the +30 MP that it gives in the end. In this meta, we don't have alot of way to generate MP, or have some kind of MP regen so having it on a LB is always helpful in a tight spot in a battle. It's not a super high value but it again is helpful. Slight Mage Problems: My only real gripe is his Attract passives. Since it's a passive and you can't turn it off really. You'll have to deal with the possibilities that you'll be targeted more. Fortunately, WK Noel can still get his DEF passives by wearing a shield, and maximizing on the armor which means he could survive more. He also has a HP +30% in total of passives which means he will not be a easy target to take down. Fire Weakness: Normally, I don't really focus on these things cause it's only -25% damage which isn't too bad as opposed to a 50%. But, he as a tank would take more damage from enemies, or bosses that do damage based on that element. So, that's a minor pain for him to be constant in doing his job, but in all it's not AS bad as it could be. WK Noel is actually good here for statuses, and lowering the resistances of others. One of his skills called "Glacial Wave" can be hugely beneficial for slowing down teams cause of it being a AoE Paralyze effect. This is also possibly if he triggers if from being targeted by magic attack moves in Arena so he would have a solid reason to be used for that very reason. Ice Rosetta is a very good TM and should take high priority when you decide to farm for it. There's not alot of great MAG based TMs so this one is a great, and welcomed edition to the list. A free +50 to DEF/MAG would service alot of mages to easily make up for the fact that they can be squishy in their DEF stats, and this would also help other more bulkier mages like Noel himself, or Exdeath even. So, yes. This is a TM worth getting. 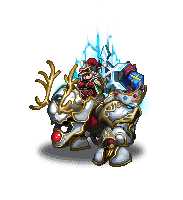 Snow can counter both Physical/Magic Attacks, WK Noel can only counter Magic. WK Noel can reduce damage delt to himself, Snow cannot. Overall Verdict: WK Noel would win here because of his guard like abilities in Steel, and Bring It On. Namely Bring It On really cause it reduces both ATK/MAG types of damage delt to WK Noel. Snow while can be targeted as well is taking on damage unmitigated so he's gonna take the full blunt of any type of attack unless he's guarding. WK Noel can pretty much one up him and take mitigated damage, and guard at the same time. So, WK Noel would be a better unit overall. 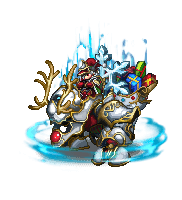 WK Noel can mitigate damage for multiple turns, while it's trigger based for Cecil. Cecil can support the team with heals, and buffs. WK Noel has a counter to magic, Cecil doesn't. Overall Verdict: WK Noel would actually even be better than Cecil in terms of tanking as well. The main thing that made Cecil so great, and reliable was the combination of his Sentinel, and Saintly Wall abilities. However, he only get that damage mitigation when the abilities themselves trigger. In WK Noel case when he uses Bring It On or Steel it's always active for the amount of turns that it's casted. If worse case scenario, Cecil doesn't guard anyone then he would end up like Snow taking damage unmitigated. While as I said before, WK Noel will always mitigate damage when he's targeted by a ST move. So, WK Noel would win for tanking. But, Cecil still would win for support. WK Noel is a great tank, and a decent mage. So, you should try summoning for him. With his great defensive abilities he will surely help you clear all types of hard content to come into the game. And even help your team in damage if you wanna build his as a mage. I fully recommend him to anyone. He's a great pickup unit. Bahamut brave, Sapphire, Enzoyeh and 2 others like this. Cecil is still 3* base. F2P people with horrible RNG .... like myself .. lol .. Can't really count on pulling WK Noel. WK Noel does look pretty solid though... just .. damn that 5* base. Note that Cecil and WKN do completely different things to a team as stated. WKN is actually a better tank due to numbers and abilities. WKN is a DPS/Tank as they have stated and he is a pretty good one at that. You are getting your atk/mag buffs consistently from a different unit (noctis/cheer/embolden), So Cecil LB is a factor, but it isn't as much as 3 turn aggro procing. WKN having no cover hurts him as a tanker (but it is not as much as 100% targeting). Cover is more useful in some situations like AoE attacks that don't hit the backline. WKN can have very high MAG (700) and still be a heavy tanker. Look nice.. if only i can pull him.. I think his looks is the only real pro lol are there any events or trials where the boss only does st? Most aoe people to hell or am i wrong? Many trial bosses use a number of AE's in a round followed up by a few rounds of single targets. The AE's usually don't kill you, or if they are killing you Cecil isn't helping you out anyway since he has no AoE cover. It's the followup ST's that if unlucky, kill your lower HP units after the AE's lower their health. WKR will soak those up and generally not be at risk of dying because his 50% mitigation will be generally active for everything (plus you can guard on top of it). In JP, WoL didn't come out until after the Espers trial, who knows if we'll get him early. WKR is going to be pretty awesome on the Europa trial, Gilgamesh and Sirens. You do lose Cecil's additional healing (and dispels,etc) but I think if you have a dualcast Refia or equivalent, plus an offheal already for emergencies that WKR is a good choice to put in. Since he's a tank that can equip staffs, you could always stick a healing staff on him and dual cast to make up a little bit. Or, with his own provoke he's not necessarily tied to Golem, so you could get healing from Carbuncle. Or with a black belt & golem staff, cover earth for free on Gilgamesh most of the time, and generate more LB for his MP restore. I should pick one up. Outside of those his mag stat is actually pretty good if equipped for all the passives. Problem is his mage kit isn't all that great. Can find some occasional uses. I did one pull for fun and got him, am looking forward to maxing him out. If nothing else it will be fun to mix up the team comp a little, but should help keep things pretty stable. Looks like our first candidate for most horribly over-designed, Brave-Frontier-esque sprite of the year. Huge, intrusive, immersion-shattering, and moderately fugly. Solid unit but there's no way in hell I'd sit him next to my other units in squad. Aesthetics matter! Goddess Nyx, spada, Kosiciel and 1 other person like this. I maxed him out and like him better than the Exdeath in my arena party I think in a mag build. Lacks meteor and some elements but can still cap out damage plus has a lot more HP and be all around tankier than Exd. His counters are nice when they go off. He's big and he hides Noctis even more than Exd did so you can't see him. No dual cast this week anyway but I have a spare for him after. Nice unit I think and I'm glad I got him, but don't think he's one I'd put a lot of resources into trying to pull. Just nice if you get lucky. Khidir, Annunaki and andyface like this. yeah i like the white knight's design, he's looking cool! but as other said, 5star base, meh! I like the character design (abilities, too) aside from the ridiculous party crowding its size does, even in slot 4.
as a F2P player, i cannot dream to pull him.....i have not ever pulled one 5* unit after 4 months of playing....FFBE is very stingy giving out 5*...If i win him I will use him for sure. I agree. Cecil is a go-to tank for a F2P player. Charlotte too, though her 6* release date is unknown... Also wish I had a WoL. I have Cecil and WoL, I won't waste my pulls for this gigantuar abomination. Solid tanks comes in all forms. You can use WoL, Charlotte, Cecil as tankers. Charlotte and WoL are the long term investments. nVission and spada like this. If you're lucky enough to pull this guy, then its worth levelling for that situational swap out. But shouldn't go chasing this 5* base unit pull.